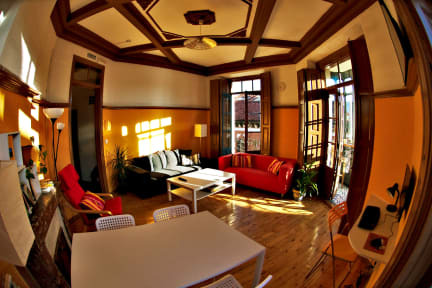 The hostel is located in a Historical building in the most touristic street in the old town, we are surrounded by lots of cafes, restaurants and tapas bars. Monuments and other touristic places are also close, San Isidoro basilica, Plaza Mayor and León Museum are about 4 minutes walk from the hostel, and the cathedral is just 50 meters far away. We offer both, private rooms and shared rooms, to our guests. All our rooms are nice decorated and have large windows with balconies with a street view. 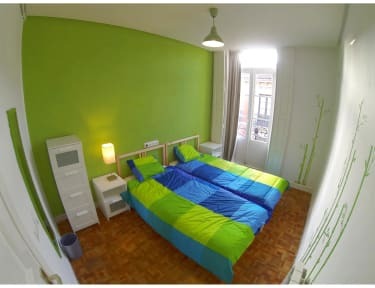 There is also a living room with shared comuputer, TV, sofas and nice balcony to spend time in the hostel and share experiences with other travelers. Our services include Free WiFi, free coffee and tea, living room with sofas, TV and shared computer, balconies in every room.